Roam through our gallery to see all the excitement from past WEGZ events. 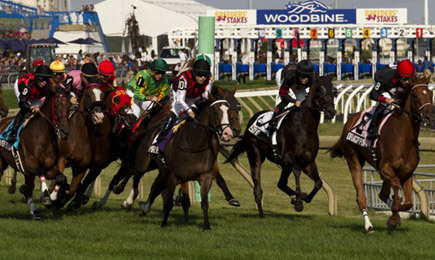 HORSERACING FROM AROUND THE WORLD! 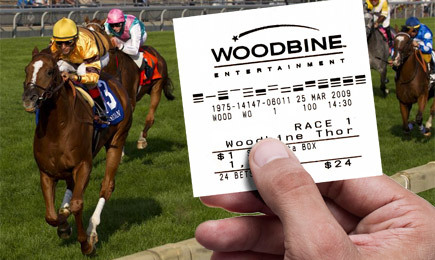 We broadcast the best Thoroughbred and Standardbred racing all day. Pro-Line is a favourite of football, baseball, basketball and soccer fans alike. And you can play it here at WEGZ. Get into the game and play: Pro-Line, Point Spread and Pro Picks. Play with your friends, or challenge new friends! 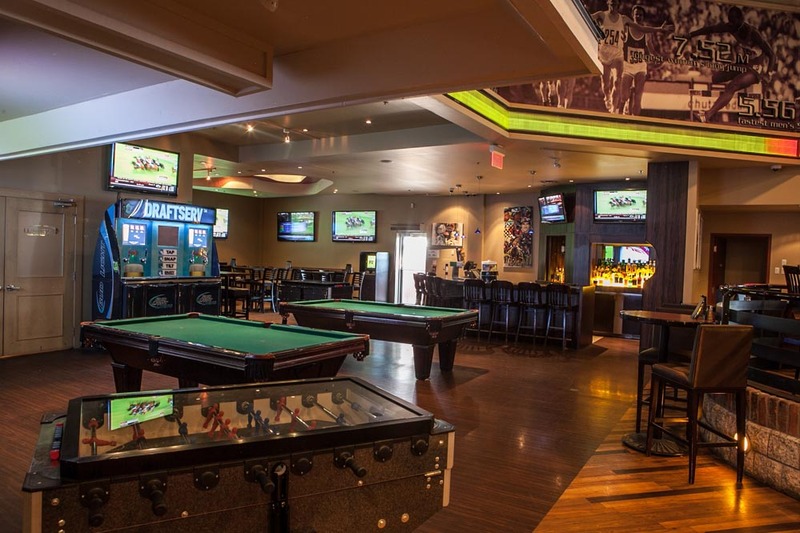 Enjoy one of 2 foosball tables and give your sports action a twist. 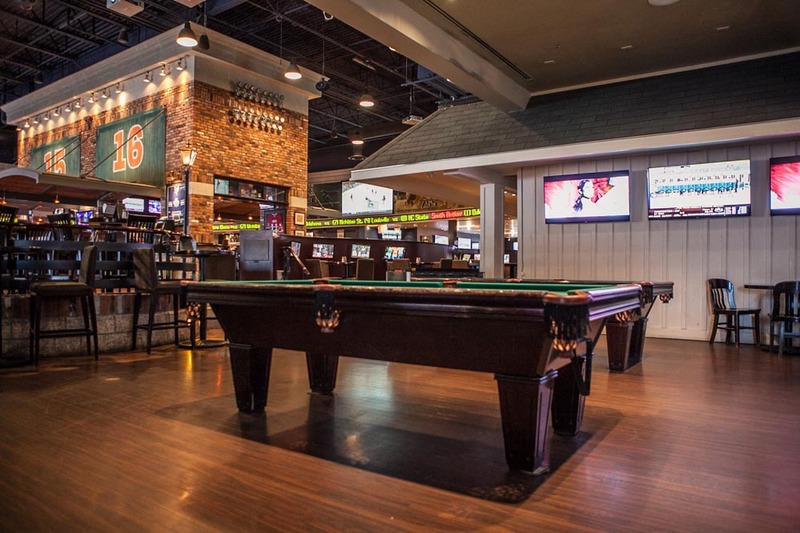 Play on one of 4 open pocket billiards tables or grab your paddles and take a hit on one of our ping pong tables. 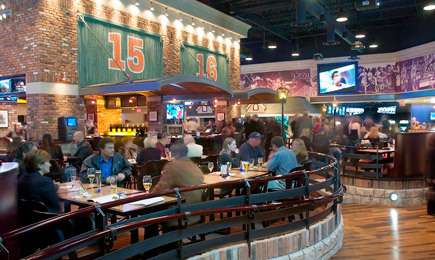 ENJOY THE GAME OUTSIDE ON OUR OUTDOOR PATIO. 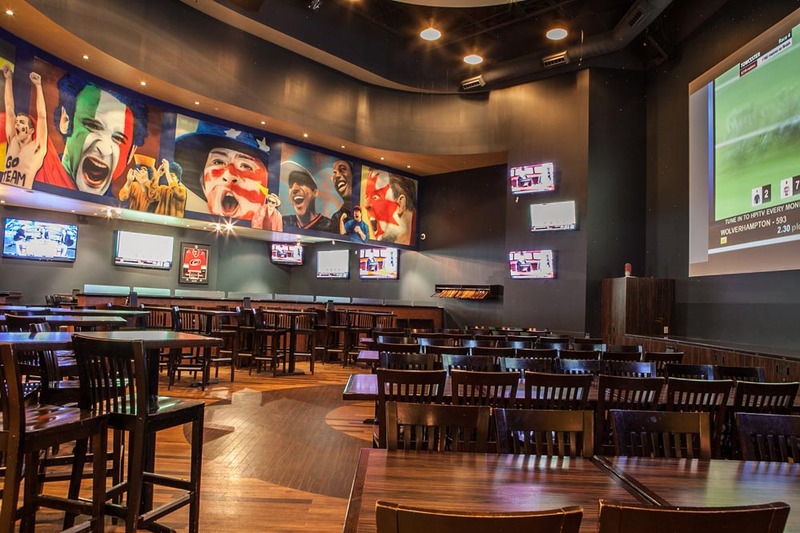 Up to 90 fans can enjoy 3 LCD screens & a private bar. Fresh air and fun, all in one. 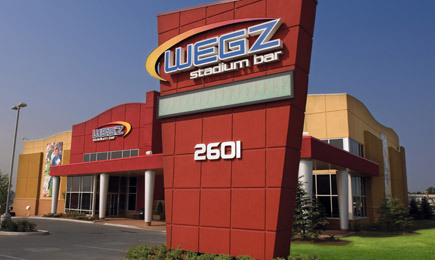 WEGZ features fantastic stadium seating for every sporting event. Call us today to reserve! The Lower Bowl seats up to 100 fans, with personal TVs in booths and a view of many other screens. 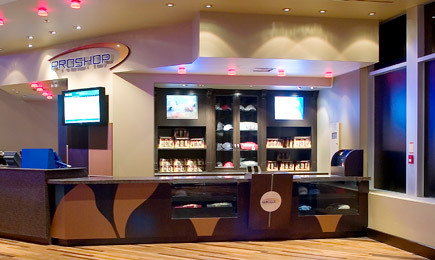 The Upper Bowl has a direct viewing access to multiple HD screens for up to 250 fans. Looking for a place just for your team? 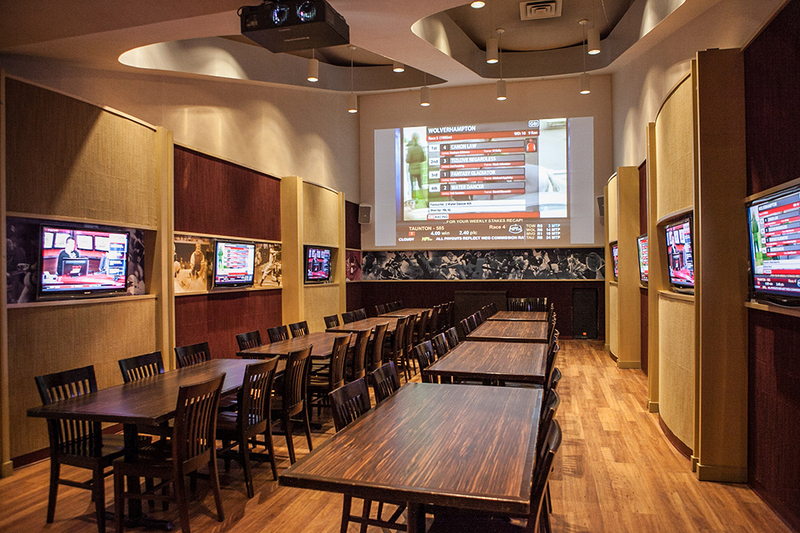 The Locker Room at WEGZ is ideal for parties, corporate gatherings or other private events. Up to 60 guests can enjoy a 14’x16’ HD screen, 7 LCD monitors, PowerPoint accessibility, wireless microphone, internet access, teleconferencing and more! In the Coach’s Corner, you and up to 90 guests can meet and celebrate. 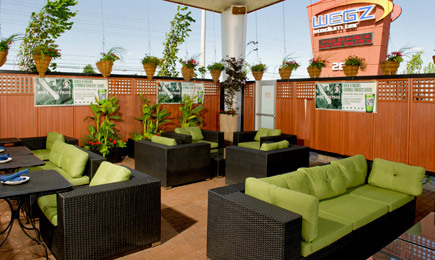 Enjoy a semi-private area with its own bar, 9 LCD screens and direct access to the patio. Plus, have fun with foosball & billiard tables.